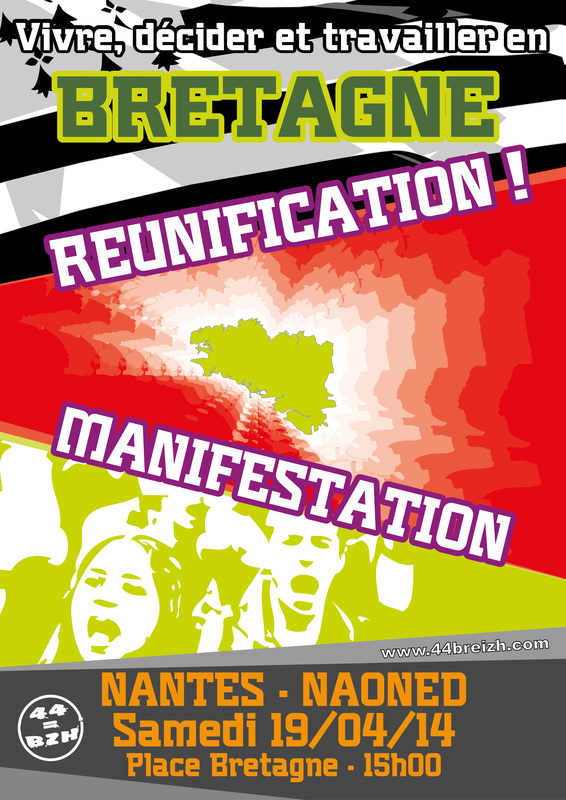 Affiche de la manifestation pour la Réunification de la Bretagne, le samedi 19 avril 2014 à Nantes | 44=BREIZH - POUR LA RÉUNIFICATION DE LA BRETAGNE ! This entry was posted on mardi 18 février 2014 at 08:40 and is filed under 44breizh, 44bzh, Breizh, Bretagne, Keleier/Actualités, Loire-Atlantique, Réunification. You can follow any responses to this entry through the RSS 2.0 feed. You can leave a response, or trackback from your own site.